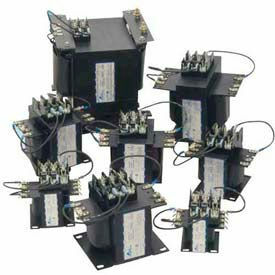 Acme Electric Dry-Type Transformers Are Used For Large Electrical System Applications. 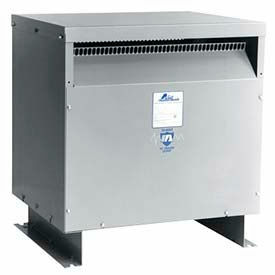 Acme Electric Dry-Type Transformers are made with stainless steel enclosures to prevent rust and corrosion. 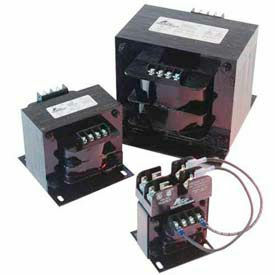 Transformers are available in a variety of sizes and power levels, with Single Phase and Three Phase motors available. 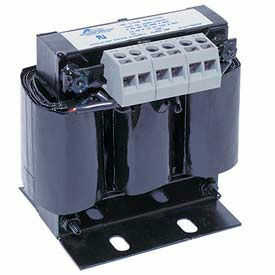 Acme Electric Dry-Type Transformers come in Wall Mount and Floor Mount models. Drive Isolation Transformer Provides Simple Cost-Effective Solution For Motor Drive Applications. Drive Isolation Transformers are designed with 180C and 220C insulation systems for long lasting durability. The three-phase, 60Hz systems are designed for use with AC, adjustable frequency or DC drives. Floor mounted units are available in UL type 3R enclosures with weather shield on ventilated units (above 20 KVA) or in type 2 enclosures without weather shield. Full capacity taps and ample wiring compartments are featured on all units. Available in 95 different configurations from 7.5 KVA to 990 KVA. Buck-Boost Transformers are a versatile, efficient means of maintaining standard supply voltage for long lasting durability in electrical applications. 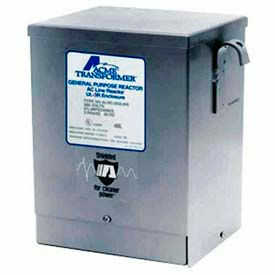 Transformers provide a 5-10 times increase in KVA. The small, lightweight transformers are available in 35 different configurations and voltages. 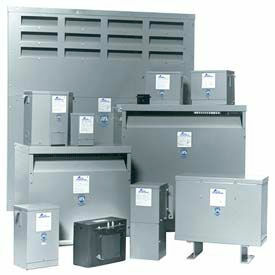 Acme Electric TB Series Transformers Minimize Core Losses And Increase Efficiency. Acme Electric TB Series Transformers are made using high-quality silicon steel lamination and incorporate precision split bobbin wound coils for improved regulation. Integrally molded terminal blocks with isolation barriers prevent arc over. Footprint matches TA series for easy changeability. Available in a variety of primary and secondary voltages. AC Line Reactors Protect Against Voltage Drops And Eliminate Tripping Of Drives And Breakers. AC Line Reactors have gapped iron core inductors for long lasting durability. Precision wound copper coils provide maximum protection from short-circuiting. Compact design allows for flexible installation. Cool, quiet reactors reduce harmonic distortion, motor current surges and power line spikes to ensure longer life for motors and solid state components. Available in 45 different configurations. 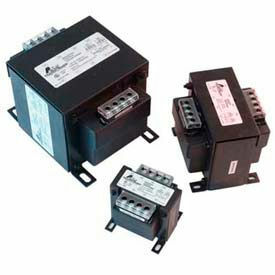 RIB® Transformers Are Used For A Wide Variety Of Commercial Or Industrial Energy Management Applications. RIB® Transformers are solidly engineered for long lasting use, durability and dependability. Most are UL Listed or UL Component Recognized, and many are Class 2. Several are provided with a circuit breaker. Pigtail wires are standard on all models and are up to 9-1/2 inches in length. All utilize split-bobbin construction. Wide selection of Dual or Single hub style units are available in 20, 40, 50, 75, 100, 150, 175, 240, 300 and 375 amps and various voltages. 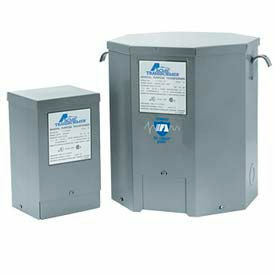 The Acme Finger/Guard line of Touch-Protected Industrial Control Transformers offers the most advanced and versatile design concepts available to the marketplace today. They are designed to meet Acme's rigid standards for mechanical durability as well as surpass Agency and Industry electric standards. The Finger/Guard line is designed for all control applications and features integrally installed, durable molded plastic terminations designed to protect against contact with live components with no slip-on plastic covers to be broken, lost or misplaced. 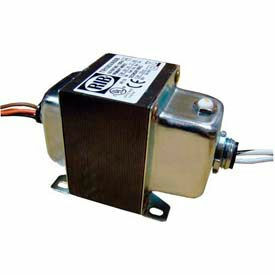 Air Conditioning, Refrigeration And Appliance Transformers Are Perfect For Industrial Applications. Acme Appliance Transformers are constructed of core lamination processed from annealed electrical grade silicon steel for long lasting durability. Transformers cause no harmonic distortion to voltage or current wave shape. Grounding connection may be made through lead wires or plug and receptacle combinations. Equipped with a safety grounding feature on both input and output sides, the transformers are available in 95,105,115,125, 200, 220, 240 and 260 primary volts. All units are manufactured and tested in accordance with NEMA standards. 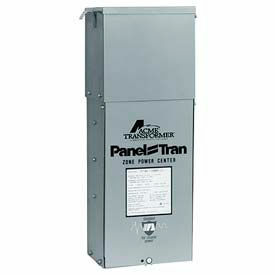 Acme Electric Zone Power Centers With Panel-Tran® protect your power source from harmful elements for the long lasting durability of your system. Power Center is used protection from corrosive chemical exposure, waste water treatment facilities, coastal or marine applications with high salt spray levels. 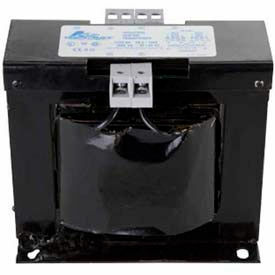 The pre-wired combination of primary breaker disconnect, dry-type shielded transformer, secondary breaker disconnect and a secondary power panel comes in a UL-3R enclosure. Centers meet or exceed UL, CSA, NEMA, ANSI and OSHA standards and comply with NEC Class 1, Division 2, Group A-D when installed per NEC 501-2 (b). 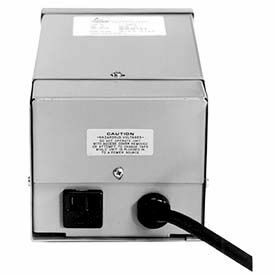 Acme Electric Non-Linear Load Transformer Lowers Current Losses And Increases Efficiency. Acme Electric Non-Linear Load Transformers have wound core construction for quiet operation and long lasting durability. Faraday Shield eliminates noise and voltage spikes. The three-phase, 480 Delta Primary Volt systems have aluminum or copper windings to provide safe, long lasting life. Rigid steel bottom is well ventilated. Primary taps: (2) 2.5% ANFC, (4) 2.5% BNFCAvailable in 46 different configurations, ranging from 15 KVA to 500 KVA.